Today's Funeral Card Friday post has a little twist, as you can see below. 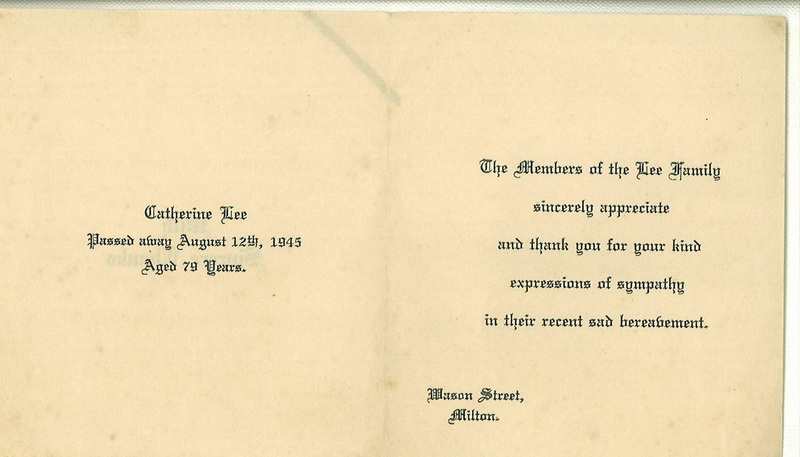 I have had one of the funeral cards that was sent out to family members when my great grandmother Catherine Lee (nee McGregor) passed away on the 12 August 1945, for quiet sometime. However, recently when I was going through and sorting a couple of boxes of photos I found a little gem. 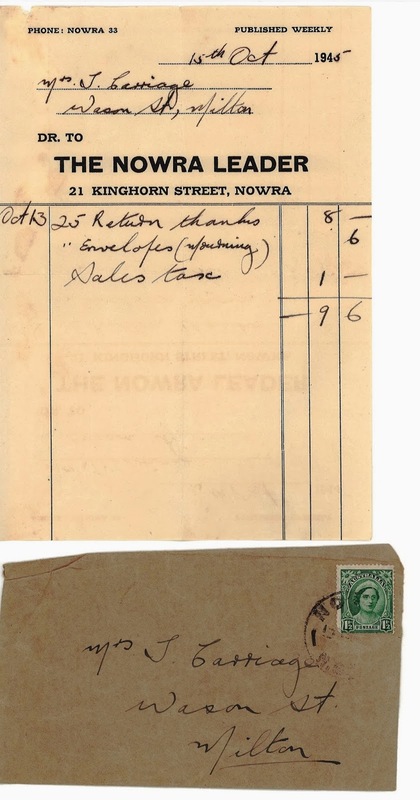 Amongst the photos, was a small brown envelope addressed to my Nanna, Christina Carraige (Shepherd, nee Lee) . Imagine my delight when inside the envelope I found the receipt from the printer who had printed the funeral card for Catherine.